At Hometown Waste & Recycling Services, we specialize in dumpster rental throughout New Jersey including Monmouth, Middlesex, Somerset, Ocean, and Mercer counties. 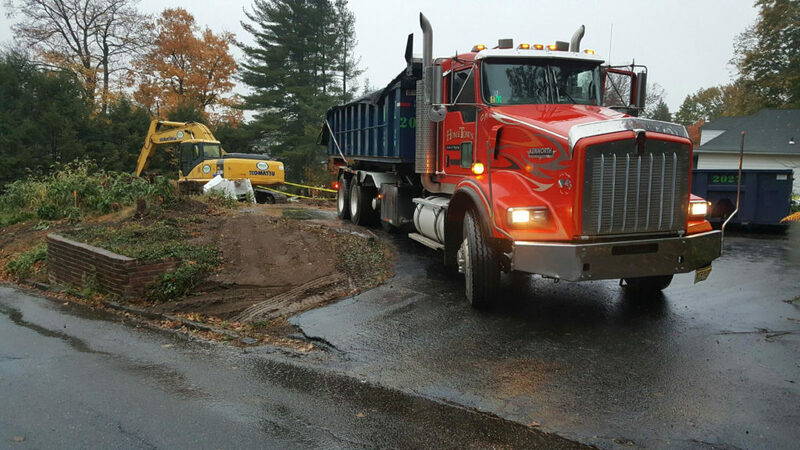 For our customers’ convenience, we offer cost-effective dirt dumpster rentals for commercial and residential job site or landscaping projects, including swimming pool additions and other dirt removal projects. Our dirt dumpster rentals are great for commercial or residential renovation projects or landscaping jobs. Before ordering your new container, it’s best to understand dirt dumpster needs and requirements. 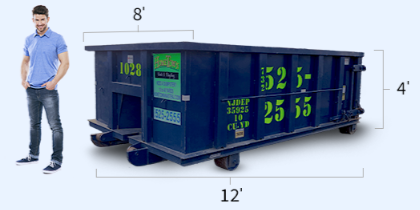 Size: We offer two dumpster sizes for dirt removal: 10 and 20 yards. Weight: Typically, dirt weighs about 1.25 tons per yard. For each dumpster size we offer, there is a weight limit to consider — 10 tons for a 10-yard dumpster and 15 tons for a 20-yard dumpster. When a dumpster is loaded with dirt, it can weigh in excess of 70,000lbs. Hometown waste highly recommends buying 2 sheets of plywood to serve as a buffer. This is as a precaution, not a guarantee. Dumpster Filling Height: To make sure you don’t exceed the dumpster’s weight limit, it’s best to fill your dumpster 12 to 18 inches below the top of the container. If you’re packing the dirt, then fill the dumpster even less to avoid exceptional weight. Note that loading the dumpster 12-18 inches under the top doesn’t assure the dumpster is underweight. Location: Place your dumpster on solid ground like a driveway or paved street. Avoid keeping your dumpster on grass so trucks don’t get stuck while trying to remove your dumpster. Dumpster Filling Materials: For a dirt and soil dumpster, it’s best to only fill these containers with dirt to avoid extra costs. While grass can be mixed with the dirt, an additional cost will be added because pesticides and other chemicals can’t be dumped in the same location. The dirt and grass then has to be separated at the recycling facility, which results in additional charges. Ensure your dirt dumpster rental and removal is easy by contacting one of our specialists today. 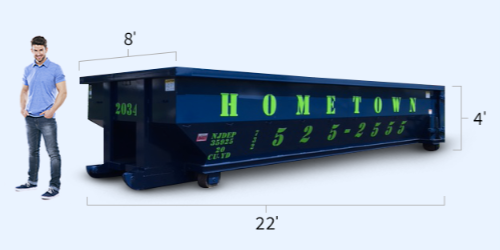 At Hometown Waste, we’re the leading experts for commercial and residential dumpster rental in New Jersey and offer a variety of sizing options to fit your needs and budget. As a special offer, we give $25 off dumpster rentals for new customers. Rely on Hometown Waste & Recycling Services for a reliable and cost-effective dumpster rental — complete our online form or call us at 732-525-2555 today to schedule a rental or receive a free quote.